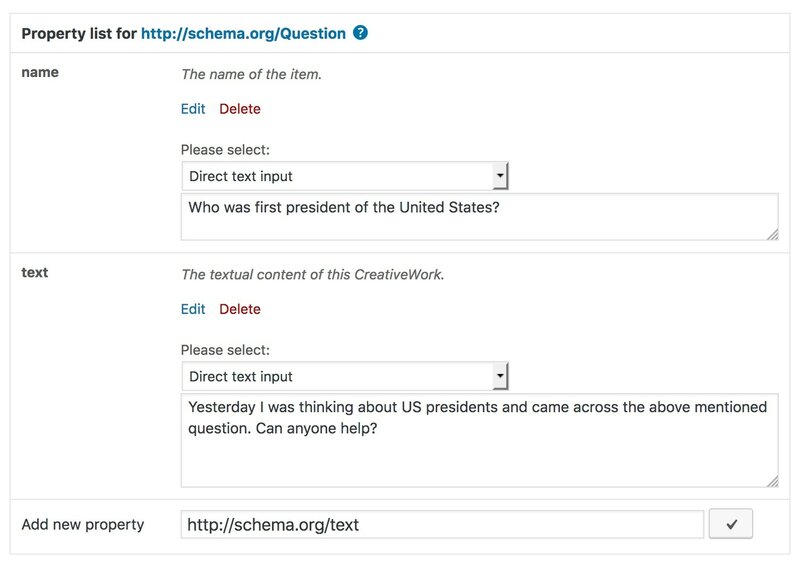 Ben asked the question on how to add Questions and Answers. 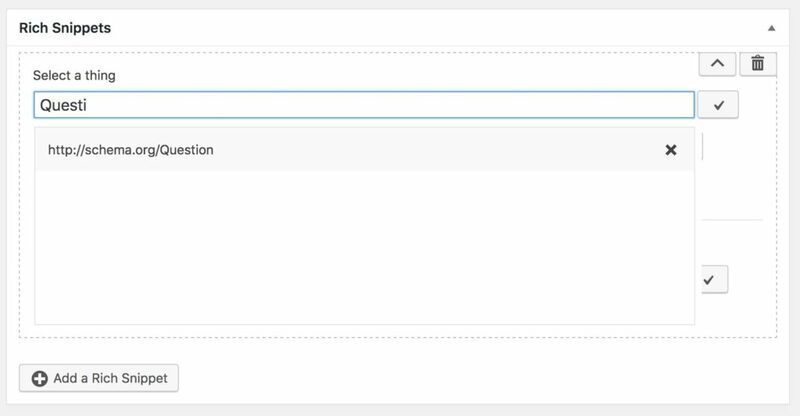 Here is a quick “How to” for a single post. 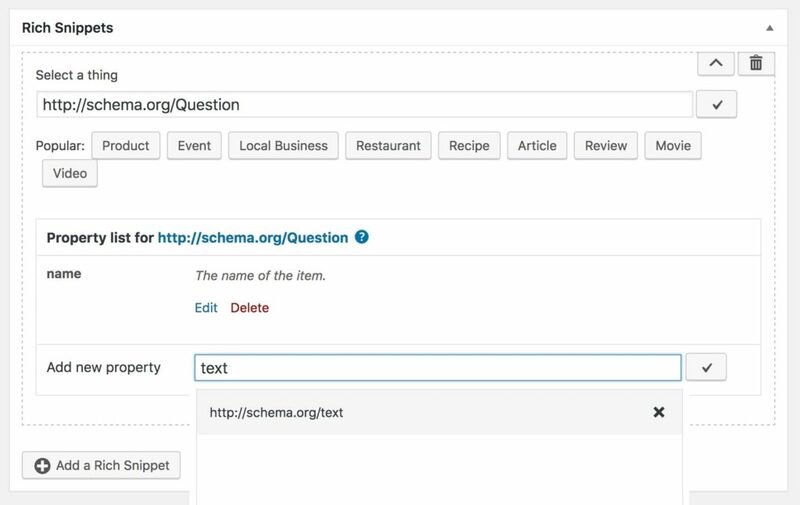 Basically you need two schema types here: Question and QAPage. First of all: Create a new post or edit an existing one. At this point in time the plugin will not load any properties. You have to load them one by one on your own. 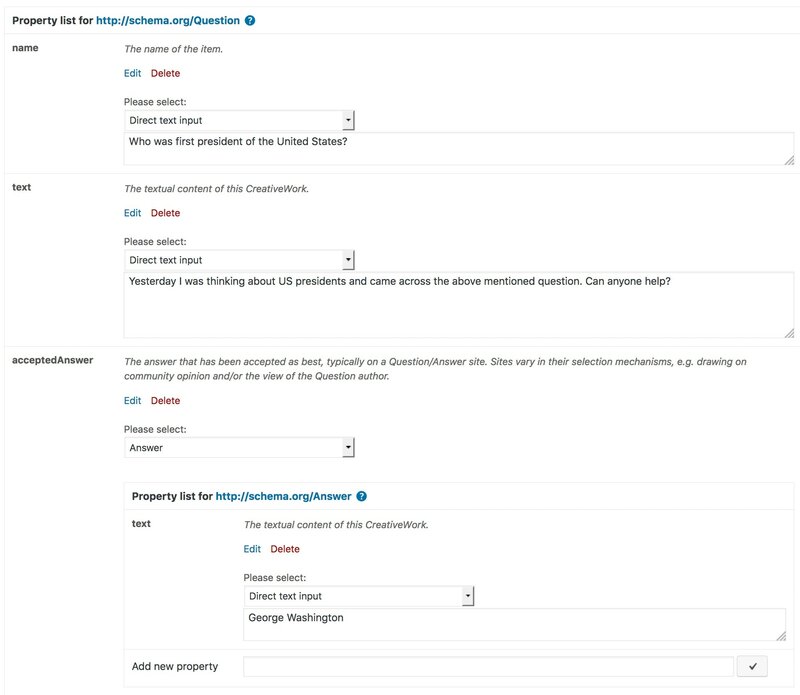 So let’s jump over to the schema.org Question page to see what properties we need. Of course you can always use more properties if you want to. 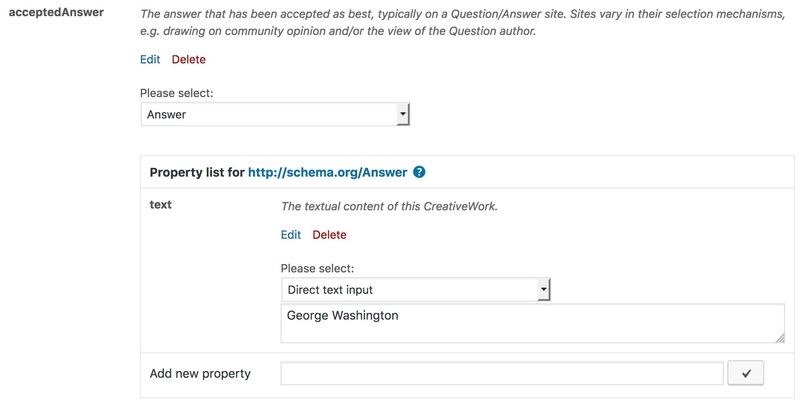 Just take a look to the Question and the Answer page on schema.org to see what properties are supported.